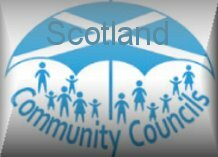 Kemnay Community Council was established in 1977 and there may be 15 elected Councillors. Our remit is to ascertain and express the views of the residents of Kemnay as appears to be practicable and expedient. Kemnay Community Council meetings are open to the public and commence at 7.30 pm in the Village Hall Friendship Room on the last Thursday in every month excluding July, August and December. We aspire to broadly represent the views of the people of Kemnay, if you have a problem in the community or an idea that may improve our community please let us know either through the Contact Form or contacting our Secretary, details shown below.